What's better than scoring a cheap rattan chair? 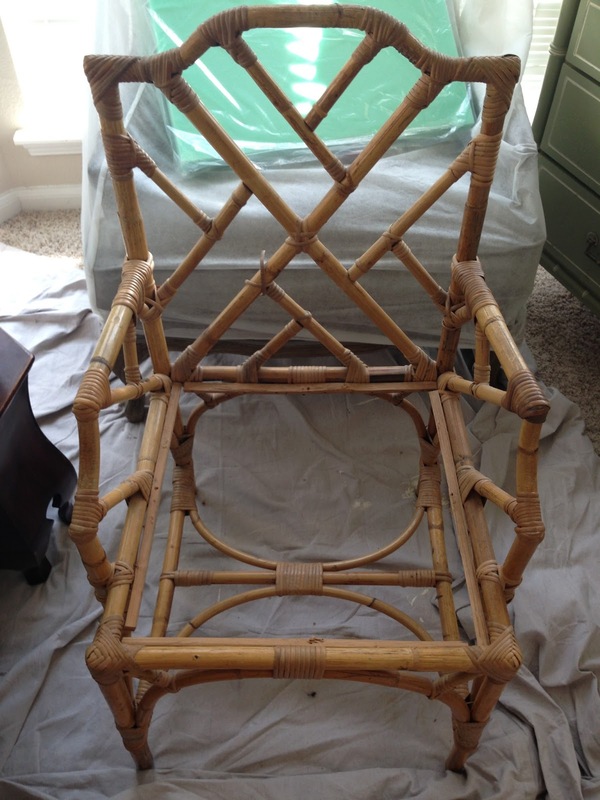 If you guessed updating a cheap rattan chair, then you deserve a cookie.I scored this rattan chair at the Roundtop antique weekend in March, but it sat in my living room until about 2 weeks ago when i decided to have a go at it. Here is how the chair looked when i got it for $20. Please excuse the chaos in the background and on the floor. I am currently painting indoors since the temperature goes into the hundreds every day. 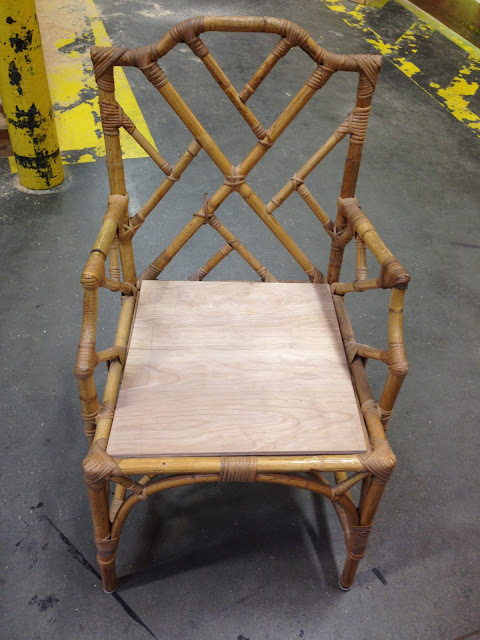 I hurled this chair into my car to get the seat measured at home depot since the seat wasn't totally a rectangle as it should be. 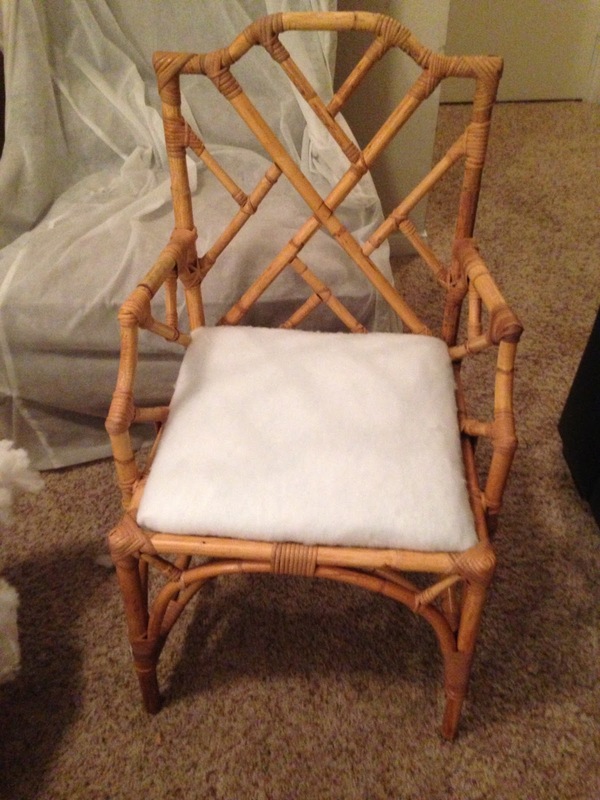 Here's the chair after the homedepot guy tried about 4 times to cut the plywood to the appropriate measurements. Heres the chair after I put some foam and batting in it. 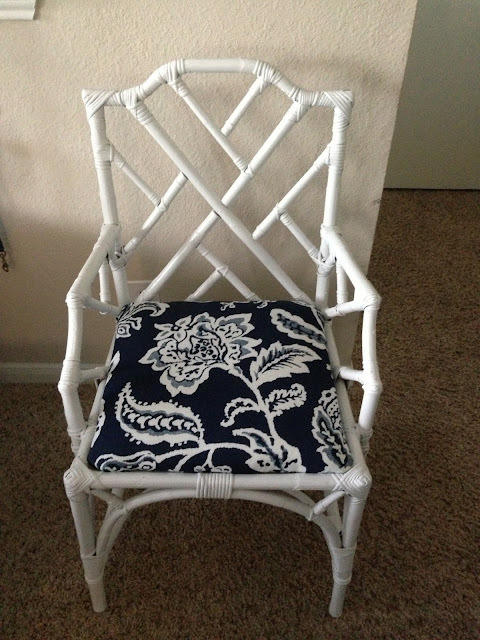 Final Update of the chair.